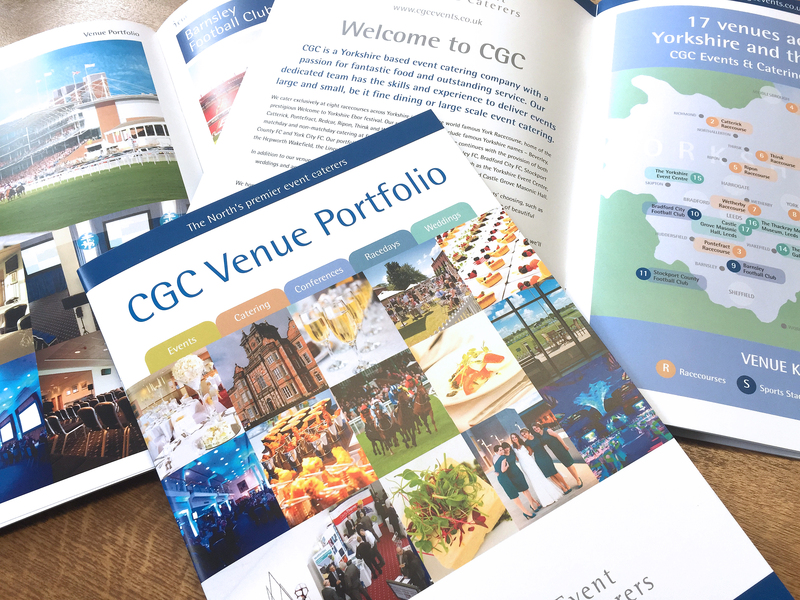 Outsmart were approached by Yorkshire based CGC Events to prepare a Venue Portfolio, showcasing the range of venues they provide catering for. From Redcar Racecourse in the north to to KC Lightstream Stadium (the home of Hull FC) in the east to the Lincolnshire show ground in the south to Stockport County FC in the west, CGC Events cater at 8 major racecourses, 3 football clubs and venues like The Hepworth in Wakefield and The Yorkshire Event Centre. They specialise in a range of catering solutions for events, conferences, racedays and weddings.